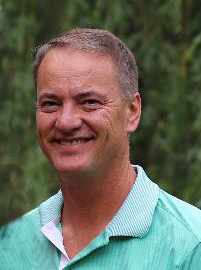 Kevin Jay Schwantz, 54 of Holdingford died Friday, March 15, 2019 at the St. Cloud Hospital after a difficult battle with cancer. Mass of Christian burial service will be at 10:30AM on Wednesday, March 20th at Our Lady of Mount Carmel Catholic Church in Opole. Visitation will be Tuesday, March 19th from 4:00-8:00PM at Our Lady of Mount Carmel Catholic Church and again on Wednesday, March 20th from 9:30AM until the time of service at the church. Parish Prayers will be at 4:00PM on Tuesday at the church. Burial will be in St. Joseph Catholic Cemetery, Bertha on Thursday, March 21st at 10:30AM. Arrangements are with Miller-Carlin Funeral Homes, Holdingford. Kevin was born on March 1, 1965 to Leslie and Betty (Boehland) Schwantz in Bertha, MN. He grew up on the family dairy farm in Bertha and attended Bertha-Hewitt High School, graduating in 1983. He attended and earned his Associate Degree at St. Cloud Technical College. Kevin was united in marriage to Laura Fah at St. Joseph Catholic Church in Bertha on August 10, 1985. The couple made their home in St. Cloud before moving to Holdingford in 1993. Kevin worked in sales for Marco for over 30 years before retiring in May, 2018. He enjoyed spending time with family, the outdoors, especially hunting and fishing trips with his siblings, golfing, playing cards, and was a devoted spectator at all his daughters’ events. Kevin was enthusiastic about sports. He was active in the Holdingford Sports Boosters, serving as President for a time. He also enjoyed coaching basketball and softball. Kevin is a member of Our Lady of Mount Carmel Catholic Church, Opole, where he served on the planning board. Kevin is survived by his wife, Laura, of 33 years; daughters Brittany (Adam) Paasch of Duluth, Jessica (John) Sweep of Rice, and Cassandra Schwantz of Holdingford; and his grandchildren Trenton, Kaylee, Riley, Jay, and a 5th grandchild arriving in early July. Also surviving are his mother, Betty of Bertha, and siblings Jerry (Rose) of Bertha, Steve (Connie) of North Port, FL, Connie (Bob) Wenker of Hewitt, Mark (Carla) of Bertha, and Brian (Cami) of Ottertail; brothers-in-law Steve Fah of Wadena and Scott (Darlene) Fah of Hewitt; mother-in-law Cathy (Andy) Roberts of Wadena; and father-in-law Virgil Fah of Hewitt. A Visitation will be Tuesday, March 19th from 4:00-8:00PM at Our Lady of Mount Carmel Catholic Church and again on Wednesday, March 20th from 9:30AM until the time of service at the church. Parish Prayers will be at 4:00PM on Tuesday at the church. Our Lady of Mount Carmel Catholic Church in Opole. Mass of Christian burial service will be at 10:30AM on Wednesday, March 20th at Our Lady of Mount Carmel Catholic Church in Opole. Burial will be in St. Joseph Catholic Cemetery, Bertha on Thursday, March 21st at 10:30AM. Arrangements are with Miller-Carlin Funeral Homes, Holdingford. at Our Lady of Mount Carmel Catholic Church in Opole.